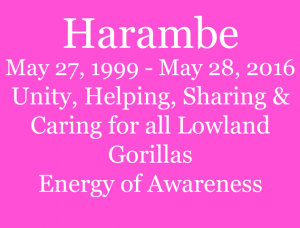 I heard the news on Harambe just after he was taken from the world, and it took me over a day to post on facebook due to I was feeling so much heart-break. 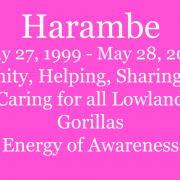 Also after hearing the news, I did connect with Harambe and shared healing, he mentioned he would share a message of humanity & awareness to hopefully help his ‘own kind’. Harambe hasn’t focused his energy on helping animals in captivity but on his species demise. “If you are sad for me then you have to be sad for the entire fleet of all Lowland Gorillas. 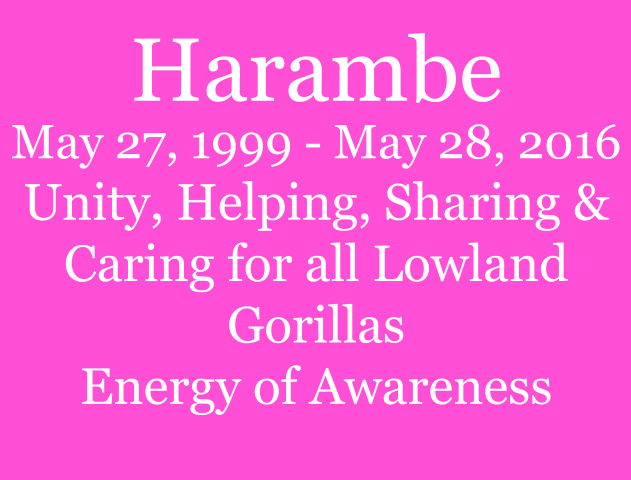 I was born in captivity, and my name is Harambe and the essence of my name is: unity, helping, sharing & caring. I will share about my species demise, and this is due to mining of coltan that is then used in cell phones; also demise due to poaching and deforestation. Every day my kind that live in their natural habitat are facing great extinction due to mankind’s evasion. As a species we are not coping with only one human onslaught but we are having to cope with many humans onslaught towards our environment. Without an environment that we can survive in then we have naught, and we will become naught, except for a distant memory, or captured in some nature book that the generations ahead will look at and reflect on and wonder what happened to the giant apes. And could these giant apes possibly be a tale of fantasy like the Loch Ness Monster who is occasionally seen by one or some but is rarely seen by the masses. And maybe we Gorillas will become fantasy beasts due to there will be stories circulating that ‘one’ could possibly be here when all are gone. Your counter-argument might be ‘zoos & wildlife parks’ will ensure that Lowland Gorillas survive as a species but this is not true. Zoos & Wildlife Parks depending on their mind-set and philosophy will try and encourage breeding but will also encourage the masses to understand that what is gone can never be replaced. Zoos & Wildlife Parks cannot breed enough Lowland Gorillas to replace what is gone. There is not enough genetic diversity. And remember we are genetically programmed to be a certain way, to act a certain way, to co-habitate with others that are also of the natural of the same environment. And even if Zoos & Wildlife Parks replicate our natural environment our genetics will alter over a great time due to we will not need the genes that we have now, we will not need the life skills that all Lowland Gorillas are born with, or the energy of awareness that we have now. I also realise what I have shared this isn’t what people want to hear, as people would like to hear my views on the incident that took my life. 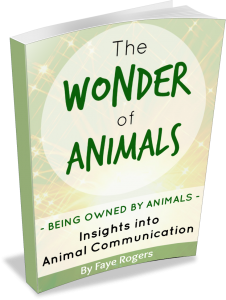 Have you ever done something and then thought ‘if only’ or ‘bugger’ and yes I have been around humans long enough to learn unsavoury speech…but then maybe this is the expression that the human parents are feeling relating to me though maybe they are not – if only. If only doesn’t lead anywhere it only takes one in circles….It’s not about pointing the blame of negligence ‘if only the child had responsible parents’ ‘or why didn’t the parents listen to their child or watch their child’; or questioning the security ‘if only the security’; or questioning what else could have been done ‘if only this could have been done’; or questioning the policies involved ‘if only the policies were different’…. What it is about is bringing my demise to the world stage and saying ‘here is a giant ape that could have crushed a very small child in one blow but this giant ape was trying to defend the child’. On lifting the child out of the water I could have snapped the small child’s leg if I had applied enough force, and yes I was excited in my actions and who can blame me, as there was hysteria happening above me, and my energy was of defense – wanting to protect but also not knowing what to do. Did I maim the small child in question? No I feel I bruised him which isn’t maiming but he was already severely bruised from the fall he experienced. There is also heart pain associated with me from my keepers as many of the ones that care for the well-being of the animals in the zoo that was my home or my previous home as I once did live in another zoo do have a heart connection to an individual animal or to many animals. There is also heart pain from my small troop that I lived with, they are sadly learning about great loss due to my demise. And my energy towards my troop was of unity, sharing & caring, protection and leadership which relates to trust. My message to humans, to all humans, is relating to my name and it is about unity, and humanity. So gather your own energy and use your energy wisely. Become aware of the needs of others and if you are reading my messages then you are already aware of the needs of others. Be aware of choices that you make and the choices can impact greatly on others. Become educated not in what you are lead to believe by corrupt advertising but become educated in what you hold of value and this means get back to your roots and demand justice not just for me but for all Lowland Gorillas. Your scientists are able to replicate coltan or a similar mineral in laboratories. Don’t you have all these synthetic chemicals, synthetic minerals that are mass produced? Your scientists can even replicate diamond so why not coltan? But then maybe it is easier for corporations to manhandle the environment and this is due to control, controlling the world markets, controlling the environment. Manhandling of stripping the environment bare of trees. Manhandling due to poaching and the markets that are associated with poaching. This is not a lecture but a simple fact. Again look at the energy of my demise and there is manhandling involved and this manhandling lead to my demise. Then apply this simple fact to the energy of the masses of Lowland Gorillas who live natural who under threat of enormity due to manhandling. Then associate your thinking patterns towards all that live naturally in Lowland Gorillas natural environment what their future is. I now need you to also do this, to feel my essence, I will take you on a guided journey, and I am not asking you to feel heartbreak but to feel my magnificence. I am sitting next to you, I gently reach out and touch you with my index finger, and you feel my touch, and I offer you my hand, you take my hand and the hand is soft warm and caressing in energy – my hand is waxy feeling compared to your hand but you also feel this incredible power in my hand. Sense through your heart your body size next to my size, how much smaller you are then I am. Sense the size of my biceps, and feel the power of the biceps but also the ability of my arms to do more than your arms can do. Sense how I use my arms. Sense how I stand on my two feet, and my feet stand flatter than your feet but the power in my toes alone is astonishing and also the energy in the feet to feel is so much more than you can feel. Feel how my toes work, the ability to curl as they do, the ability to be flat as they do, the ability to feel so intensely of all vibrations on the floor. Feel me stand two strong, and the energy in my hips and lower torso is incredible that something this massive could move as it does, then feel the upper torso strength. What does it feel like if a Gorilla pounds (beats) their chest, and the chest is pounded for various reasons – sometimes pounded in agitation, sometimes pounded in joy, sometimes pounded in warning, sometimes pounded to exclaim strength. I am now standing four square, what does it feel like and there is only complete balance, there is no awkwardness. There is only balance, and ability, and strength, the spinal column is incredibly strong but also flexible, the muscular and fascia are impressive. What does my hair feel like, feel the texture and energy of my hair, it is different than yours, almost like the hair has incredible strength but also ability to ward-off the forces of nature. Feel the strength in my neck. Feel my incisors, and how large they are compared to yours, but then feel the jaw power. Feel the breadth of my nostrils and how I breath, and the lung power that allows my body to receive oxygen, but also the circulation system that I need to be one with the natural environment that my species live in. Feel the size of my head, and relate to how my frame supports my head. Feel my teenager youth energy, and this is who I was, I was stepping into the energy of my own power, of being the Silverback. And the Silverback’s energy is so ultra-amazing, so intense, so deliberate, so kind but also aware, and of strength, and ability to live with this much power is a true gift. Also feel my energy relating to my troop, the ones that I lived with, and allow your energy to feel connected to what they are feeling, what they foresee their purpose to be. Feel the energy in my eyes, and what do you see, what do you sense about me, what do you feel, let me hold your hand whilst you are dreaming with me. Let me expose my soul to you and you will become captive of me, captive of the beauty of a species of magnificence, but also captive to love.